It’s apparently “Godzilla reboot news day.” This morning we learned that Frank Darabont will be doing a final rewrite on the script for director Gareth Edwards’ reboot of Godzilla, along with the news that two of the film’s producers are battling Legendary Pictures to stay onboard the project. We actually know very little about the redo beyond the fact that Edwards is tackling Godzilla with a grounded, realistic tone (ie. what would it be like if this monster actually appeared in real life and started terrorizing cities? ), but today word has surfaced concerning the film’s firm production start date, shooting locations, and which actors the studio and Edwards are looking at to take on the lead role. Hit the jump for Godzilla details galore. This bounty of Godzilla news comes from a few different sources. Spurned by a buried bit of info in Heat Vision‘s Godzilla article that broke word of Joseph Gordon-Levitt being in consideration for the lead role, Variety’s Justin Kroll listed off the actors that are being considered for the project: Gordon-Levitt, Henry Cavill, Scoot McNairy (Argo), and Caleb Landry Jones (X-Men: First Class). Kroll specified that Gordon-Levitt and Cavill are “studio choices,” while McNairy and Jones are “creative choices.” I assume this means that Legendary and/or Warner Bros. are keen on the more well known actors, while Edwards and his creative collaborators are leaning towards the latter two. Shortly after this story broke, though, Heat Vision’s Borys Kit clarified that Gordon-Levitt has, in actuality, already passed on the project, leaving Cavill, McNairy, and Jones as the remaining candidates. McNairy had one hell of a 2012, making scene-stealing turns in Ben Affleck’s thriller Argo and the Brad Pitt crime drama Killing Them Softly. He would also appear to have an edge on the other contenders, as he starred in Edwards’s previous film Monsters. As for Jones, he’s decidedly younger than the other actors but has been popping up more and more on these types of shortlists following his work in X-Men: First Class and Contraband. Cavill is still a bit of an unknown quantity as far as leading a big budget feature, but studios seem to be betting on the guy to connect with audiences as Superman in this summer’s Man of Steel. 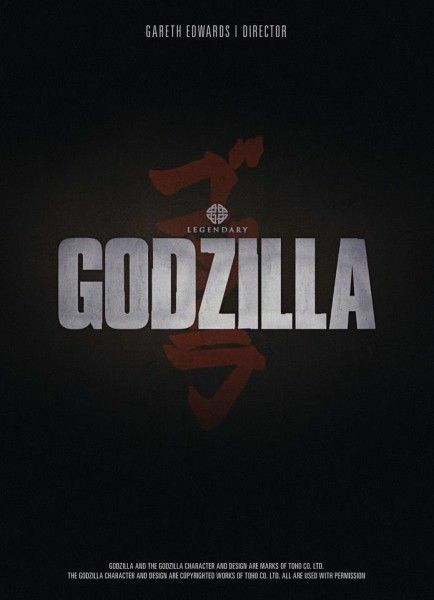 Kroll cautions that no offers have been made as the script is still being worked on (see: Darabont story), but these appear to be the actors that are being looked at to bring Godzilla to a new generation of fans. It’s not a shock that Gordon-Levitt passed, as the actor is plenty busy at the moment. In addition to readying his directorial debut Don Jon’s Addiction for its Sundance debut in a couple of weeks, he is also reportedly among those being considered for Marvel’s Guardians of the Galaxy. More Godzilla news comes courtesy of AICN, who reports that the film’s exact production start-date is March 14th, at which point filming will apparently take place in Vancouver and Hawaii under the working title “Nautilus.” With Darabont hard at work on the script and production slated to begin in just a couple of short months, expect firm casting news sooner rather than later. Godzilla is set to hit theaters on May 16, 2014.